نحن نعتقد أن الاستثمار في رأس المال البشري يمكن أن يكون الاستثمار الأكثر نجاحًا ومجزية. 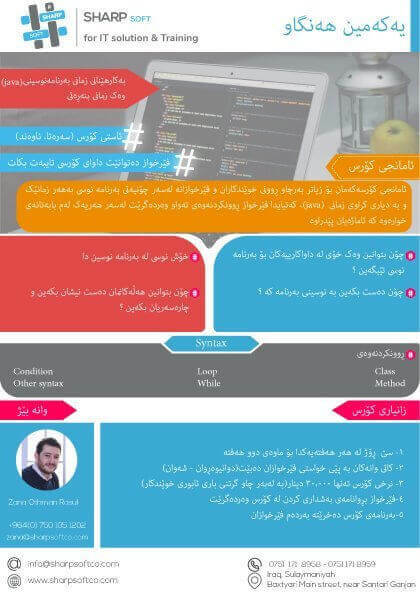 لذلك ، تقدم Sharps oft Company دورات تدريبية قياسية مخصصة حسب الطلب تناسب احتياجات الأفراد وموظفي الشركات. We believe that investing in human capital can be the most successful and rewarding investment. Therefore, Sharps oft Company provides standard and business customized training courses that suit the needs of individuals and companies’ staff. 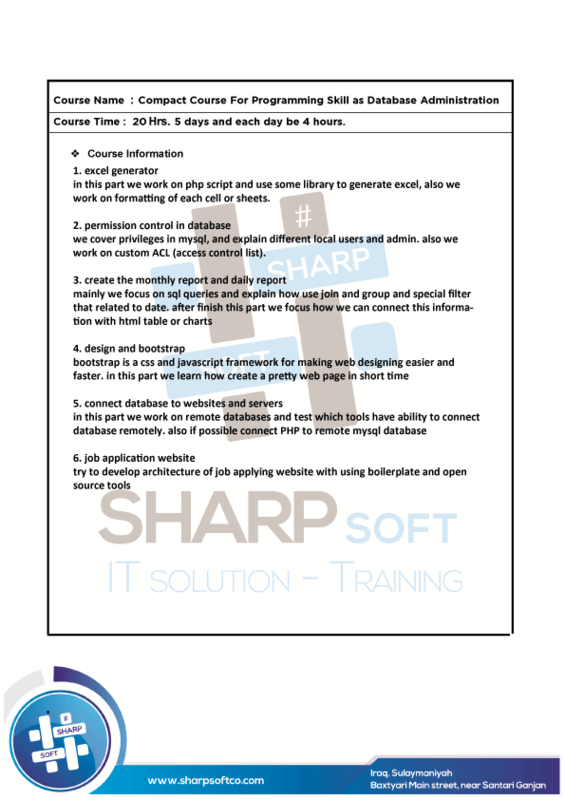 Customized training solution is our in-house training division, it’s no surprise that Sharp Soft is the corporate training solutions provider of choice. If you are looking for in-company training, let our team work with you to develop learning experiences with a lasting positive impact. Improve your marketing and sales team skills through professional training at the core skills in marketing and sales and other business-related skills. 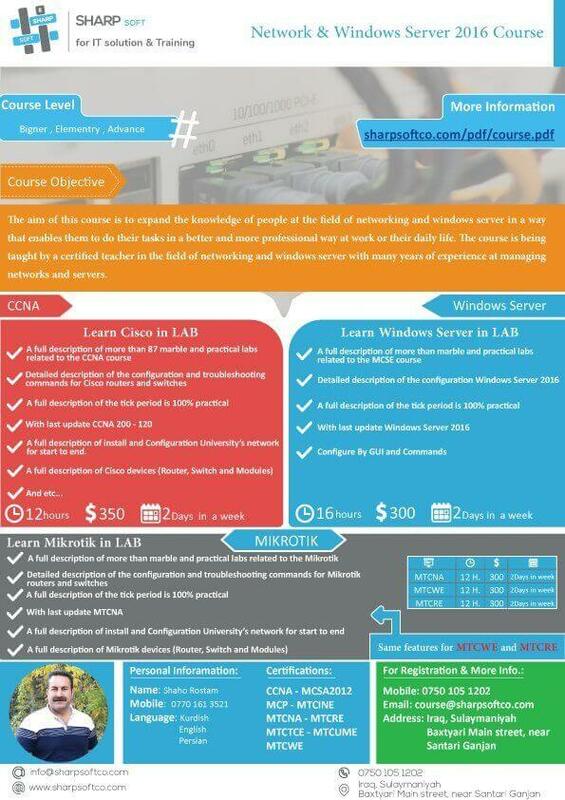 In addition, you can get training on the most up-to-date marketing and sales software solutions. in this part we work on PHP script and use some library to generate excel, also we work on formatting of each cell or sheets. we cover privileges in MySQL and explain different local users and admin. also we work on custom ACL (access control list).